Whatever is “Normal Operating Hours” for Your Plumbing System Are Our Normal Hours Too! There isn’t much worse in life than being woken up in the middle of the night with an emergency plumbing problem. Whether you have a large problem, like a backed up sewer overflowing into your house, or a smaller problem, like a clogged toilet, it can be difficult to get the help that you need, when you need it! Plumbing emergencies are never convenient, and they rarely happen on a Monday morning or during “regular business hours” at all. They always seem to happen in the middle of the night or on the weekend when it is nearly impossible to find help — until now, that is! 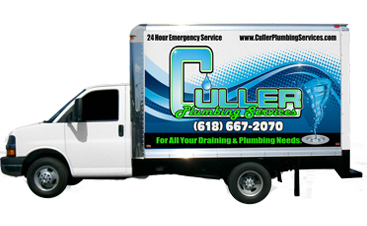 We are Culler Plumbing Services, and we are proud to say that we offer emergency plumbing services twenty-four hours a day, seven days a week. What are your toilet’s “regular business hours?” those are our hours too! When you rely on us, you will never have to wait until Monday morning to get the help you need. Our experienced plumbers are really and truly prepared for any plumbing issue that you may have. When you call us, you will never have to wait while we run to the hardware store to grab a part that we forgot. Our promise to you is to always be prepared, and we have stocked our trucks so that we can do just that. Our trucks are fully stocked with everything that we need to handle any plumbing emergency, whether it be big or small. We are dedicated to doing it right the first time so that once we’ve fixed something, you can rest assured that the problem is resolved. The next time you’re awakened in the middle of the night by a plumbing emergency, don’t fret. Instead, call Culler Plumbing. We will be there, ready to help, as fast as we can. And, with over twenty years of experience in the industry, we are confident that we have what it takes to handle your plumbing emergency, no matter what it may be. Read here for more information on whether or not your issue is a plumbing emergency! Or, call our experienced plumbers for an obligation-free estimate. When your plumbing system isn’t functioning as it should, it can cause panic, especially if you cannot find the source of the problem or you do not know how to fix it yourself. 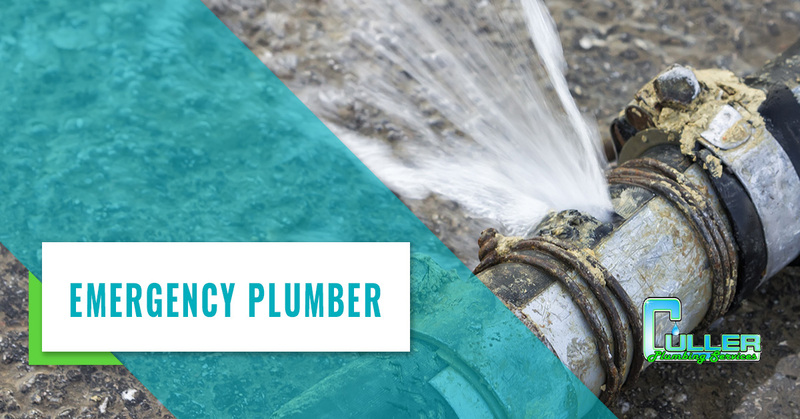 Although many “emergency” calls that we receive at Culler Plumbing Services are not true plumbing emergencies, we understand how uncomfortable and even frightening it can be to experience severe clogs, backups, or leaks. If you are ever unsure, it is better to be safe than sorry, give us a call and we can help diagnose your problem, provide an estimate, and schedule an appointment, or we can send out our 24-hour plumber to help with your plumbing emergency. If you are like many homeowners, you haven’t stumbled across our page prophylactically, looking for ways to prevent problems. Chances are experiencing a plumbing problem and searched “plumbing emergency” or maybe you have already called your local emergency plumber and are trying to figure out what you can do to help before they get to you. When there is a backup or a water leak in your home, it is easy to get anxious. 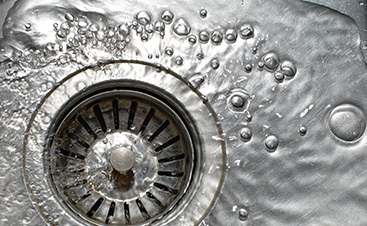 So, here are a few things you can do during a plumbing emergency to reduce the damage. If you are experiencing a burst pipe or a rapid leak, the best thing to do is turn the water off. First, make sure that water is not running at the site — sink, toilet, etc. — and then turn it off at the source! Quickly find your water shutoff valve and turn off the water. If you have shut off the water at the water valve, be sure to also turn off your water heater. Hot water inside the hot water heater can build up and potentially burst if the hot water heater is not emptied with use. Take no chances and turn it off any time you turn the main water valve off. While you are awaiting our emergency plumber’s arrival, address water damage by mopping up puddles or laying out towels to sop up standing water. This will help reduce water damage to your home. If there is still an active leak, put a bucket to catch as much water as you can. Once the main water has been shut off to your home, open your outside spigots to ensure that any water that is left in your pipes has a way to escape, outside your home rather than leaking inside. If you have ever experienced an emergency plumbing situation, you already know how stressful it can be. With so many local plumbing companies happy to take your money, you may feel vulnerable and forced to blindly trust any plumber who says they can do the work. 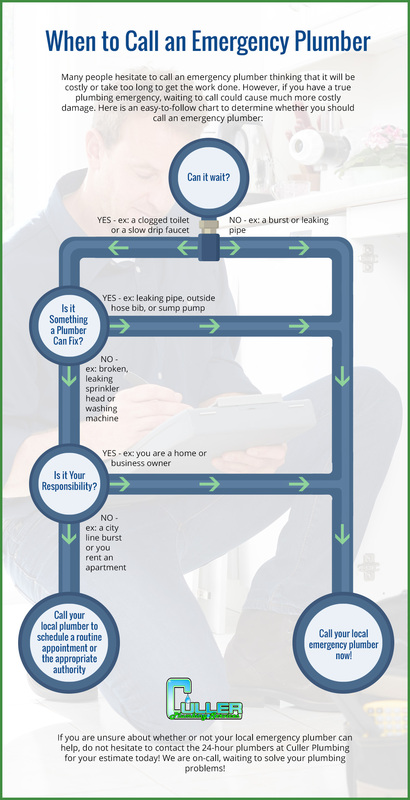 To be sure you are getting the trustworthy help you need, use this emergency plumbing contractor checklist. Trustworthy references – Customers don’t lie. People are always willing to share positive and negative experiences with local companies. 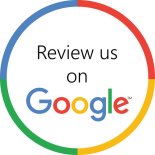 Ask for references or check out online ratings. Scope of services – For the best results, you need someone with a well-rounded portfolio. A long list of available services means that your plumber will be better equipped to handle any cause of your plumbing problem, without having to enlist the services of another contractor. Availability – Emergencies don’t happen during regular business hours. If your emergency plumber has limited hours, find a local 24-hour plumber instead. The plumbing experts at Culler Plumbing are here to help you with all of your plumbing problems. And, although our technicians are the best plumbers around, we want to help you avoid plumbing emergencies all together. Check out our blog for helpful plumbing tips and plumbing how-to’s that will help prevent problems. Additionally, schedule our routine plumbing services and annual inspections to keep your residential or commercial plumbing systems healthy. 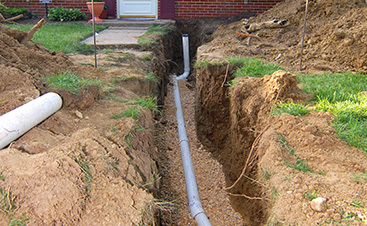 We pride ourselves in offering 25+ years of the best possible plumbing services in Alton, Belleville, Cahokia, Collinsville, Dupo, East St. Louis, Edwardsville, Fairview Heights, Glen Carbon, Granite City, Highland, Mascoutah, Millstadt, Troy, & Other surrounding cities in Metro East Illinois. Contact us today!